Portugal, Spain and France in one day. 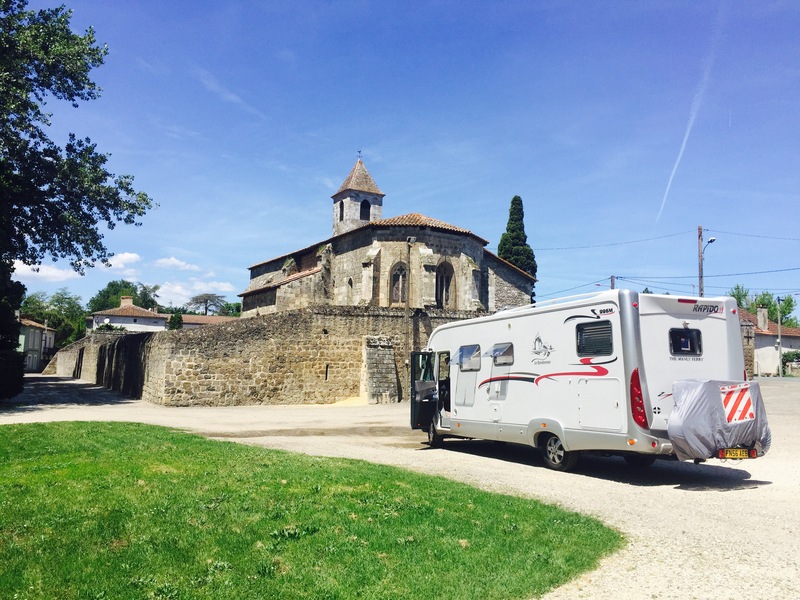 A beautiful sunny morning, so we hit the road at 8 am with a very loose plan to head north towards France. We’d agreed to try and make Bilbao in Spain if all went well. 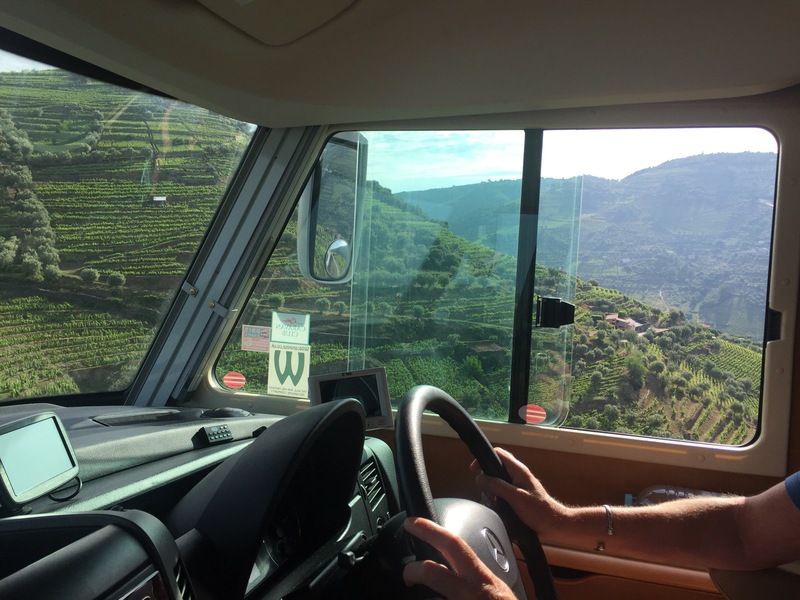 The climb out of the Douro Valley was spectacular , affording magnificent views over Wine vineyards carved precariously into The hillside like rice terraces. The farmers must have a hell of a job working these fields. 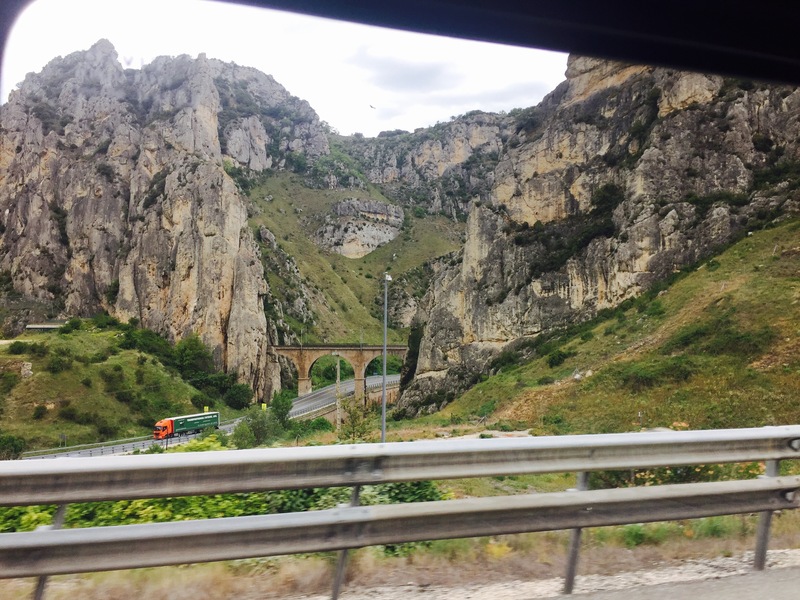 The first few hours driving just slipped by as we enjoyed the views so much. Poor old Pinot got a bit of a workout traversing these hills. We eventually reached 2000 metres before the roads flattened somewhat. I try to sit on around 95k per hour at about 2.300 rpm and she hums along nicely at that. AT LAST not the lovely song by Etta James or even a great cover by Cyndi Lauper of all people ( you should listen to her version, very nice too) At last, if you look at the temp on the picture above, we are getting some warm weather , not the type where Englishmen are running around in togs in 17 degrees, but proper warm weather… anyway moving on, it was only a few hours and we crossed the border into Spain so just prior, we stopped for some coffee and our last Portuguese tarts. Amanda looked heartbroken as she gulped the last crumb Bless ! 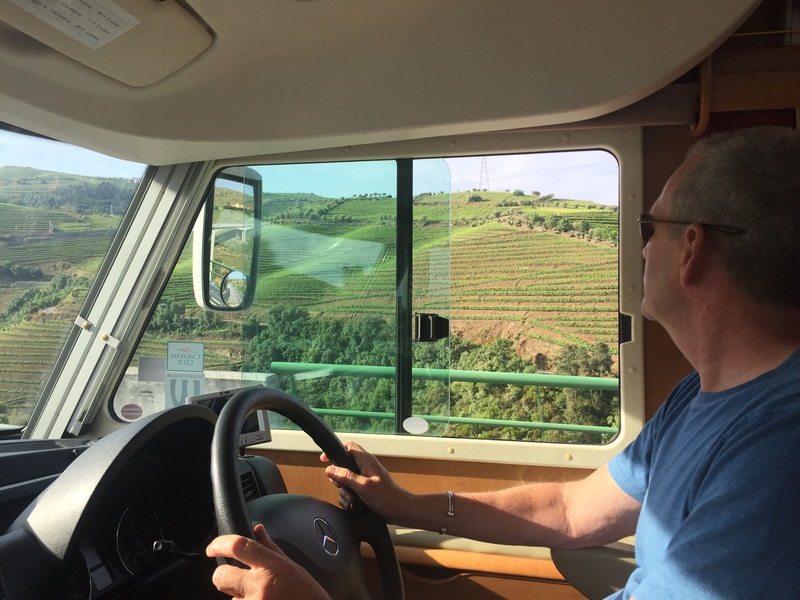 The roads in Portugal are pretty good on the whole and again some of the bridges are pretty flash as you can see in the picture above. 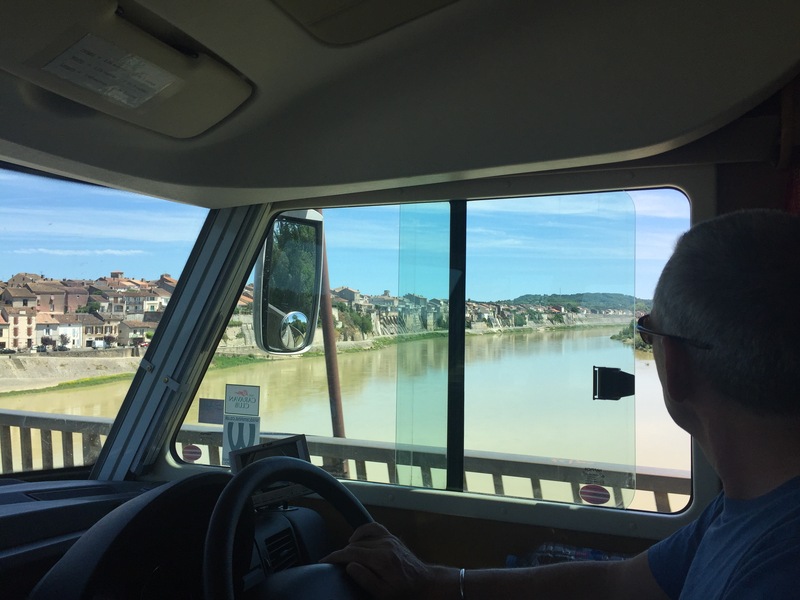 By 5.00pm we arrived at the French border. Just a stern look from the French border patrol as we slowly crossed and ” bonjour” we are here. We pulled up tired and hungry at a great Aire 50 metres from a lovely beach just a few k’s north of Biarritz in Ondres and without wasting any time, popped into the lovely restaurant beside it and enjoyed a cold beer. Well I did , Amanda upped the anti and had a very nice Pina Colada…. probably in denial about the tarts and trying to find something suitable to tickle her taste buds. It appeared to work. So here we are for the next few weeks and very happy to be here indeed. 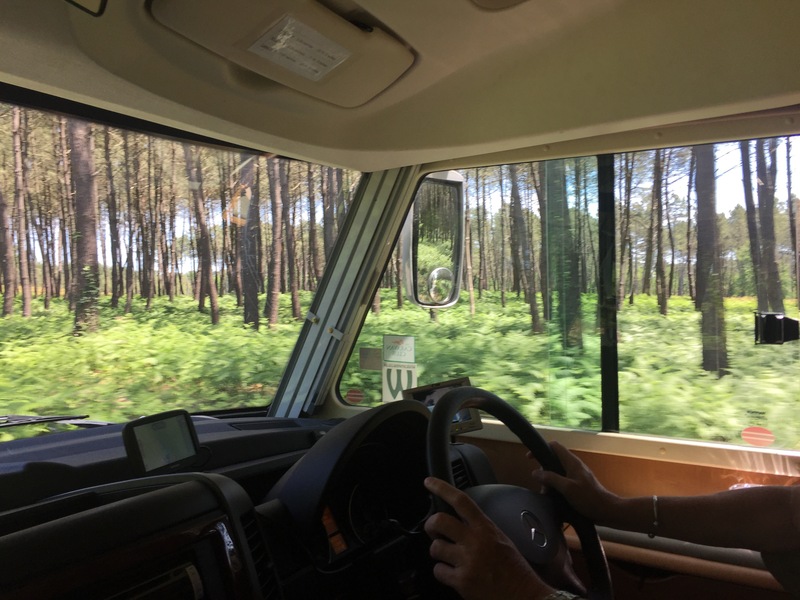 We stopped in a little village and Amanda rustled up a lovely lunch, one the the many advantages of bringing your kitchen and fridge along with you on your journey and this was a nice little stopover for an hour or so. Amazes me what she produces in our little Pinot. 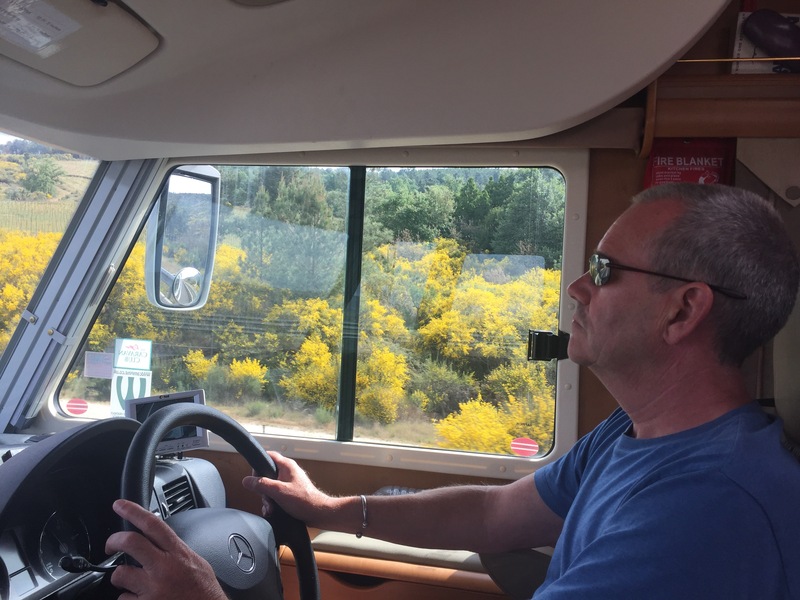 Next morning we decided to amble towards the Dordogne on B roads……Tom Tom struck again with a vengeance and took us on every D road she could find( I think it’s a SHE for obvious reasons) only joking but Amanda does refer to it as she. I tend to be slightly more expressive on occasion. 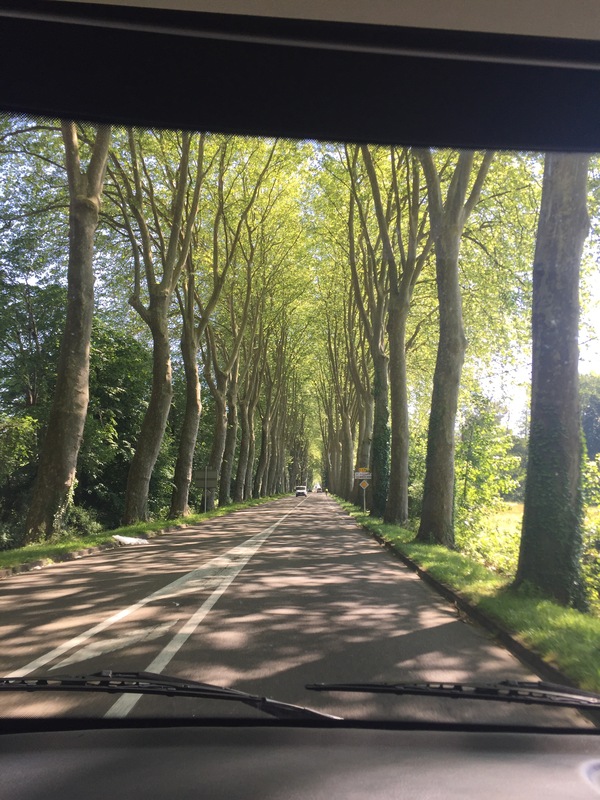 We went through some beautiful French countryside and villages but a 3 hour journey took a wapping 6 hours and it was down some very narrow lanes in part. Amanda cooed and wow’d the entire trip. This region really is something special.